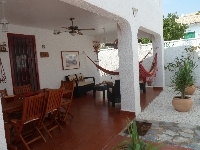 VILLAS AND APARTMENTS TO RENT IN ORIHUELA COSTA, SPAIN. 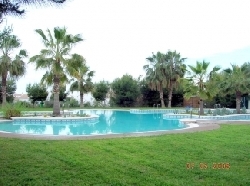 Welcome to our selection of holiday homes to rent in Orihuela Costa, Spain. Boasting over 16 kilometres of beach, the resort of Orihuela Costa, on the Costa Blanca, is one of the major resorts in this area of Spain. Ideally located between the airports of Murcia and Alicante, the area is very popular not just with British tourists, but with those who have chosen to make their homes in Spain, and there are plenty of British bars and restaurants, if you decide you want a taste of home while on your holiday! Orihuela Costa is the closest resort to the inland city of Orihuela, which is worth visiting if you are staying on the coast. There are several different beaches on the Orihuela Costa, usually with their own smaller resort attached and all the amenities that you would expect from a family-friendly environment such as life guards, showers, toilets and some even have children's play areas. Most of the beaches in this area are backed by sand dunes or woods, rather than high-rise hotels and apartments, making it an ideal location for those who like to get out of the sun at times too. Mil Palmeras at the southern tip of Orihuela Costa is a rockier stretch of coastline which is always busy with water sports enthusiasts, while Campoamor in the centre is more popular with locals and Spaniards than the ex-pat population, so this is the place to come if you want to try some authentic Spanish cuisine or experience some of the local festivals. Playa Flamenca, towards the north of Orihuela Costa, is a more traditional resort, with lots of activities like golf, go karting, tennis and even a local water park to keep kids and adults of all ages entertained. A short drive from Orihuela Costa is the inland city that gives the coastline its name. Orihuela is home to an impressive Gothic cathedral and the Palace of Rubacalva. This opulent family home was a private residence until the 1970s when it was finally opened to members of the public. Highlights include the sweeping marble staircase that takes visitors up to the portrait gallery. Easter time sees a great celebration being held in the town, when a unique procession sees the �Diablesa�, a female version of the devil, paraded through the streets of the old town. Around the city, in the hills and valleys behind the Costa Blanca, there are several walking routes, some of which take you to excellent viewpoints for a view over Orihuela and Orihuela Costa. 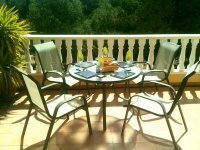 Looking for self catering holiday accommodation in Orihuela Costa? 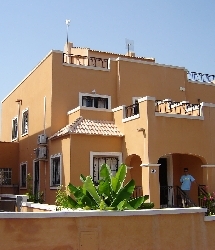 Then below is a selection of apartments in Orihuela Costa and villas in Orihuela Costa that can be rented direct from their owners. You can either click on each listing for further details or you can use our search engine on the left if you are looking for something in particular.